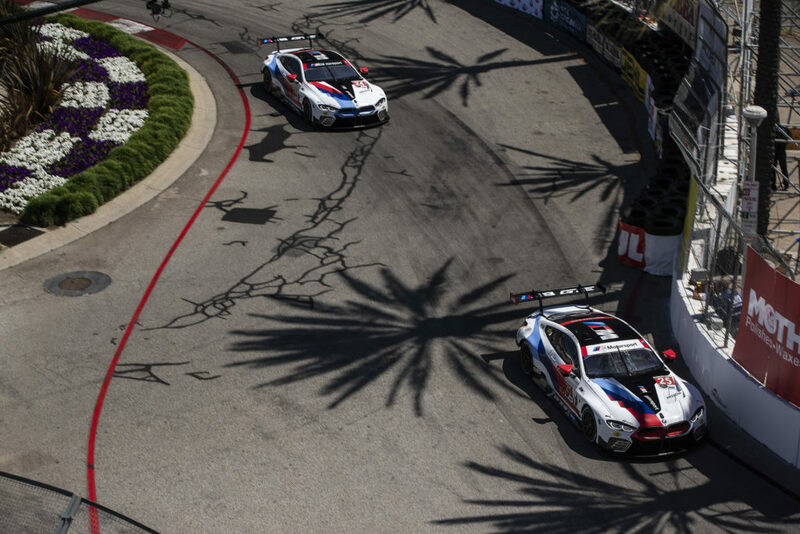 Woodcliff Lake, N.J. – April 10, 2018… BMW Team RLL has amassed quite a record at the Long Beach Grand Prix over the last decade, winning in 2011, 2013, 2015 and finishing on the podium four additional times. 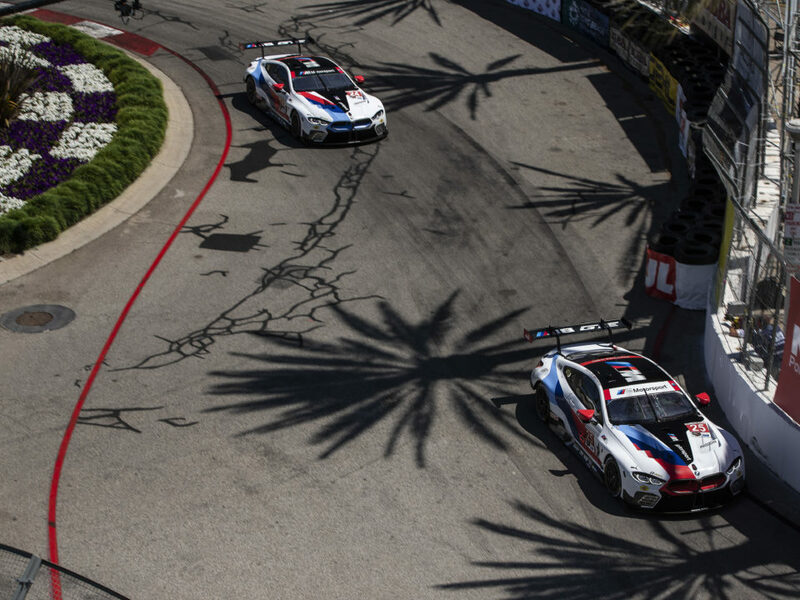 Last year, the new BMW M8 GTE showed promise at Long Beach with the No. 25 M8, driven by Connor DePhillippi and Alexander Sims, leading nine laps before an accident forced retirement. John Edwards and Jesse Krohn finished fifth in the No. 24 M8 GTE. Following the Rolex 24 At Daytona and the 12 Hours of Sebring, the April 13th IMSA Bubba Burger Sports Car Grand Prix at Long Beach – at only 100 minutes in length – may appear to be the easy round of the season. In fact, the confines of the 1.968-mile, 11-turn temporary street course with only one scheduled pit stop and driver change magnifies everything, making the race one of the most difficult. This year, Edwards and Krohn drive together again in the No. 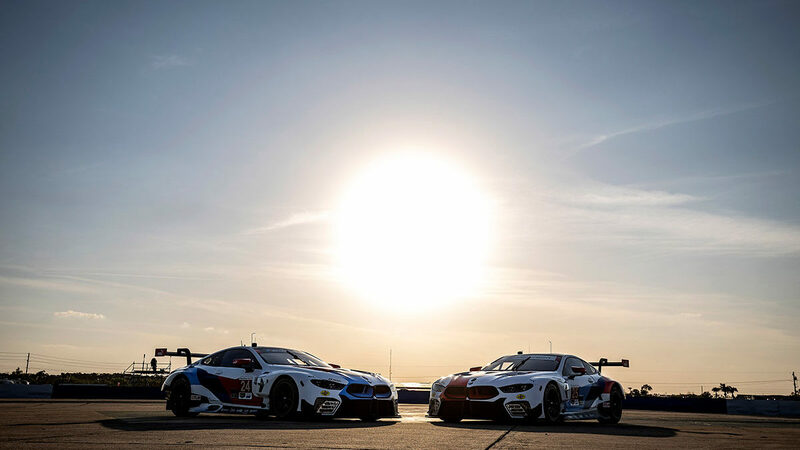 24 M8 GTE while Connor De Phillippi will team up with Tom Blomqvist – new to the BMW Team RLL lineup this season – in the No. 25 BMW M8 GTE. This will be Blomqvist’s first time racing at Long Beach. With the No. 25 BMW M8 GTE securing the Rolex 24 At Daytona victory in January and the No. 24 BMW M8 GTE finishing fourth at the 12 Hours of Sebring, BMW stands second in GTLM class manufacturer points to mark BMW Team RLL’s best start to an IMSA season in recent years. With a win at Daytona in the No. 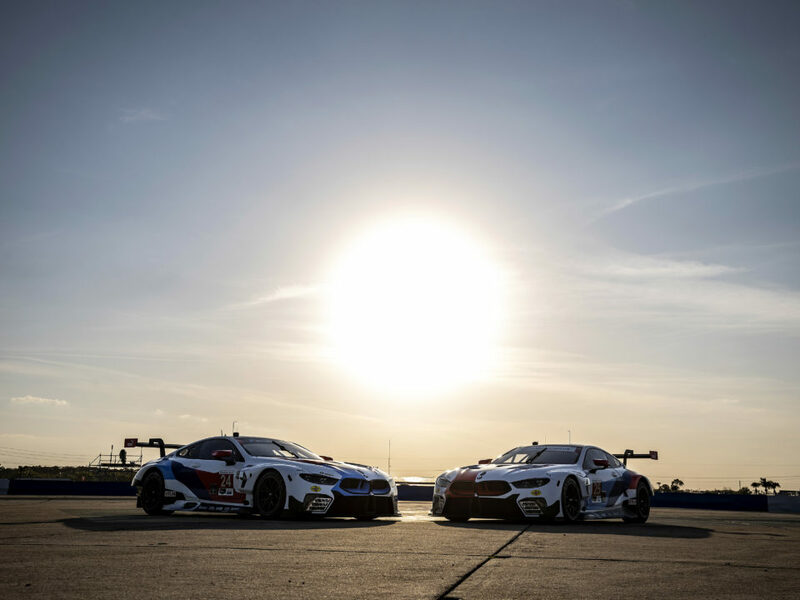 25 BMW M8 GTE and a fifth at Sebring in the No. 24 BMW M8 GTE, Philipp Eng sits atop the GTLM driver points. His lead will be short-lived as he will not return to support BMW Team RLL until later in the IMSA season. The first weekend of May will see the fast Austrian starting his second DTM season for BMW. Among BMW Team RLL full season drivers, De Phillippi stands alone behind the leading Porsche drivers with 59 points. He leads Edwards and Krohn who have 50 points and Blomqvist, who has 24 points from Sebring. On the weekend after Sebring, Tom Blomqvist, Connor De Phillippi and John Edwards participated in the season-opening VLN race at Germany’s Nürburgring. John Edwards, Nick Catsburg and Marco Wittmann clinched victory in the No. 99 ROWE Racing BMW M6 GT3. In the No. 98 sister car, Tom Blomqvist, Connor De Phillippi and Mikkel Jensen finished in third place to round off a strong result. 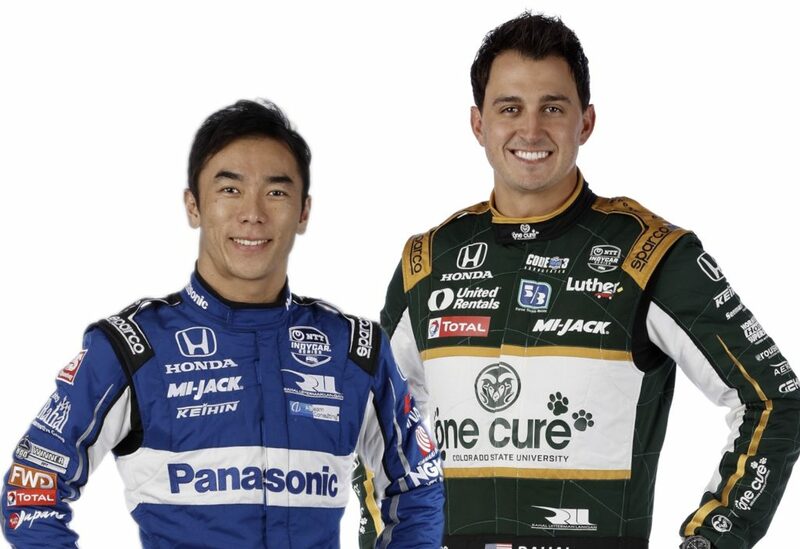 That same weekend, Rolex 24 winner Colton Herta, drove to his first IndyCar victory at Circuit of the Americas. The very next weekend, four BMW Team RLL team members were in Laguna Seca to support Schnitzer Motorsport for the Intercontinental GT Challenge race. Rolex 24 winner Augusto Farfus, 2017 BMW Team RLL driver Martin Tomczyk and Australian ace Chaz Mostert finished fifth in the No. 42 BMW M6 GT3. Stefano Comandini, Erik Johansson and Jesse Krohn won the first round of the Italian GT Championship driving a BMW M6 GT3 at the Italian GT Championship opener at Monza on April 7. The Bubba Burger Sports Car Grand Prix will take the green flag at 5:05 p.m. 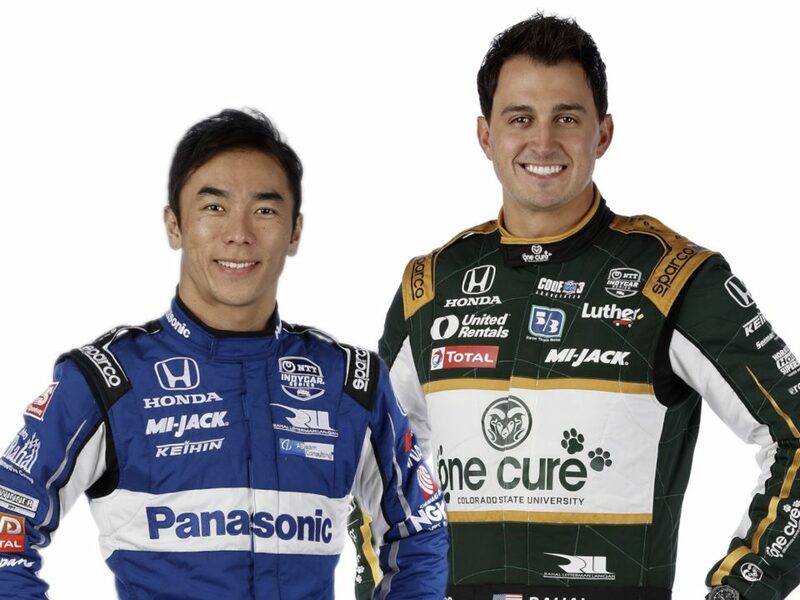 ET on Saturday, April 13 and be broadcast live on NBCSN beginning at 5:00 p.m. ET. Follow us during the race on Twitter @BMWUSARacing.